"Hardware security module with custom encryption key"
AWS Cloud HSM is a cloud based hardware security module for your application or services on aws.It enables you to generate and use your own encryption keys on aws cloud.The best part is that you can use your custom generated encryption keys on a FIPS 140-2 level 3 compliant HSM.If you are not a cloud security guy,you might not get what it is,but briefly it is a high standard security hardware based module.It also protects your keys which is really required.Regarding the cost,as all aws services are comparatively low in cost,AWS CloudHSM offers pay as you go feature so that you pay as you use the service which eliminates useless costs.It is overall a good hardware security solution for aws. I have nothing to dislike about aws cloud HSM. Whenever you develop web services and webapps using aws or any other cloud services you require it to be secured from the worldy threats and cloud HSM is one of such service which provides hardware based security module for your aws services.It offers custom encryption key generation and also protects them using Virtual private cloud which is the reason I recommend using aws Cloud HSM. I develop webservices and webapps for my clients using aws services.CloudHSM is one of the service which I tend to use regularly with almost all of my applications because it provides the best encryption security using Hardware security module.It helps me secure my webapps with much ease and also it provides best security so I use AWS cloud hsm. "best way to build secure compliant application !" i have been using AWS CloudHSM for 2-3 years , AWs CloudHSM provides you with validated HSM under your exclusive control , and it also provide HSM within your VPC , it becomes very easy to secure our business secrete data and workloads , it's very easy to mordanise workloads using AWS CloudHSM , it brings the robust security and total control of traditional HSMs within AWS , by integrating AWS CloudHSM with AWS key management service we can manage all kinds of keys securely and efficiently too , it's reliable because all kind of communication with your HSM is encrypted End to End for better security , single tenant access level 3 validated hardware , it uses transparent data encryption for oracle databases easily! quality of service is not so good , some times it doesn't support scale-ability while expanding your infrastructures , other than this everything is best!! one of the best service for secure and fast application development , it helps you secure and keep control of your own encryption keys in the AWS cloud!! we are using AWS HSM for managing and developing secure application !! 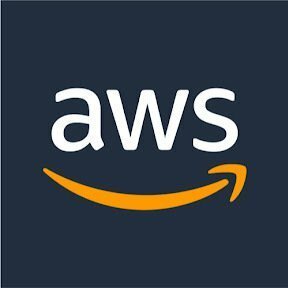 "High level of security for your data"
Aws CloudHSM is so easy to set up and initialize, and even more easier to monitoring and manage, brings high level of security and encryption, i can make a cluster with few clicks, in few minutes, also i can make cluster from backups, thats save so much time, and one of the best things is it is pay as you go. AWS CloudHSM is one of the best HSM i have ever used, until now there is nothing bad what i found, but if i have to say something what i dislike i will say, the prices change depends of the location of aws server. And there can be a noticiable diference between them. Use AWS CloudHSM always when you want or need a high lvl of encryption for your data, it work for small or big projects, there is a lot information about how to use, on their website, if you have any question i am sure you will found it there. It is pay as go, that makes AWS CloudHSM perfect for scalable projects, also is very powerful, and easy to set up, that is very important, because i can be sure the data will be safe and i don't have to spent many time configuring it, that let me focus on other things. "one of the best cloud based data security"
My favorite part is that there is no upfront cost to using this feature. It lets you focus completely on the task at hand before worrying about payment. The user interface could be more user friendly, Ive had to teach colleagues how to use this before and it always is a process. Dont let the UI / UX fool you this a great tool with a bit of a learning curve. We are decrypting our data for our website Lawyer Legion. "AWS CLoudHSM is a winner"
When you use an HSM from AWS CloudHSM, you can perform a variety of cryptographic tasks. AWS CloudHSM provides hardware security modules in the AWS Cloud. Using these cryptographic operations provides secure storage for cryptographic keys. If you want a managed service for creating and controlling your encryption keys, you have to use AWS Key Management Service. Which is an extra charge and service and charge. I believe this is a great solution for medium to large companies. "Amazon is the best! " "Easy to implement and easy to calculate"
You have to click a lot to understand the cost but you will understand it and it will be it. No doubts. I didn't install anything on my side, no cost of infrastructure, no cost of maintenance, no variable costs. Perfect, it meets all of my demands and does exactly what I want it too when I want it done. My biggest concern is customer support and figuring out how to navigate the software. Transferring files to and from my different buildings throughout the country. Security concers are addressed. It shift responsibility to AWS. "Simple and out of the box"
Simple out of the box solution to meet the business needs. "HSM is exceptional product "
I like the concept of physical security in cloud. Over all good product but more expansive and management of it. easy to use for the small environments..
* We monitor all AWS CloudHSM reviews to prevent fraudulent reviews and keep review quality high. We do not post reviews by company employees or direct competitors. Validated reviews require the user to submit a screenshot of the product containing their user ID, in order to verify a user is an actual user of the product. Hi there! Are you looking to implement a solution like AWS CloudHSM?